Don’t let your fencing be a shock to your visitors! Let them know the dangers by posting our ELECTRIC FENCE Warning Sign! Large and bold, this sign measures 12” x 18” and is made with heavy-duty aluminum. The top and bottom of the sign are pre-drilled with holes for simple mounting. 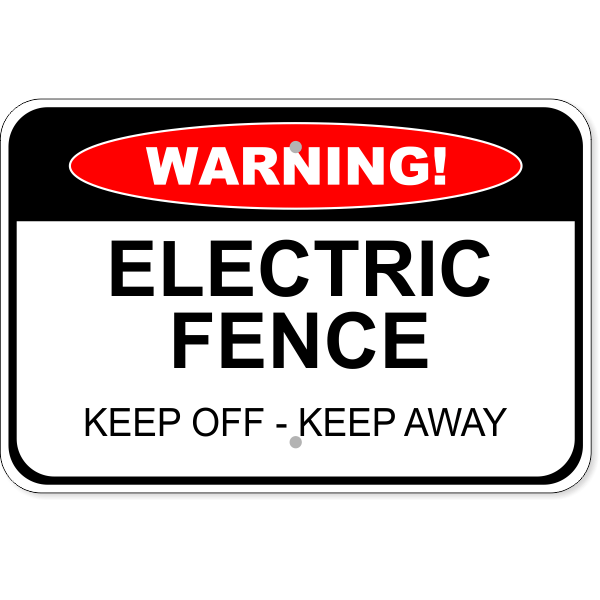 Protect your guests and keep them safe, order your ELECTRIC FENCE Warning Signs now!